Why do many people like flowers? Simple: because they are bright and colourful. Considering the stress in many of our lives, it should hardly surprise that many of us really appreciate opportunities to be promptly cheered up by the sight of a pretty flower. This helps to explain why floral designs have become popular in fashion. They basically bring the feeling of summer even when the actual summer is months away. 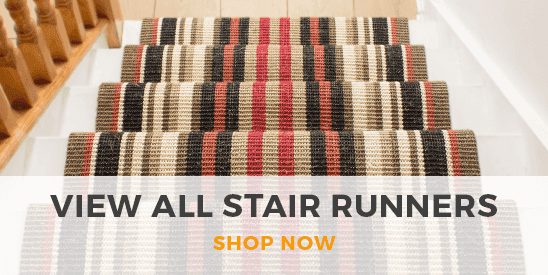 Naturally, floral designs are also common in the carpet runners that we offer for placing along stairs - and these designs in our runners include a choice of plentiful different colors, both bright and dark. Another reason why floral designs are popular in the home in particular is that they can give an impression of luxury. You can probably easily think of many times when you have walked into a gorgeous stately home and noticed the flower-patterned curtains and cushions on the beds. 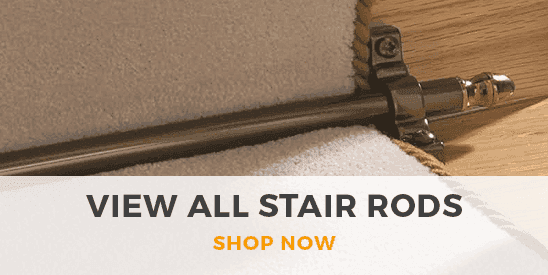 Though, when laid on your stairs at home, one of the floral carpet runners pictured on this page could leave a big impression on visitors, it would not look so striking that it could not be pleasantly positioned alongside a hallway carpet runner of differing design - particularly a plain design.